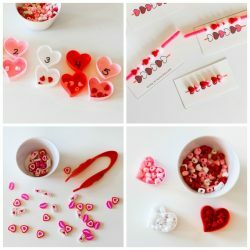 Do you do a hearts theme in preschool or a Valentine’s theme? 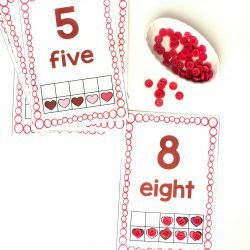 Either way, these heart themed counting printables are a festive addition to your preschool math centers. You can grab your printables from the end of this post. Did I mention these are FREE printables?! They are! So don’t forget to grab them! What are some ways you teach one-to-one correspondence? I rely on many important resources. My counting lesson plans, my number identification games, several different kinds of math manipulatives, and especially counting printables. 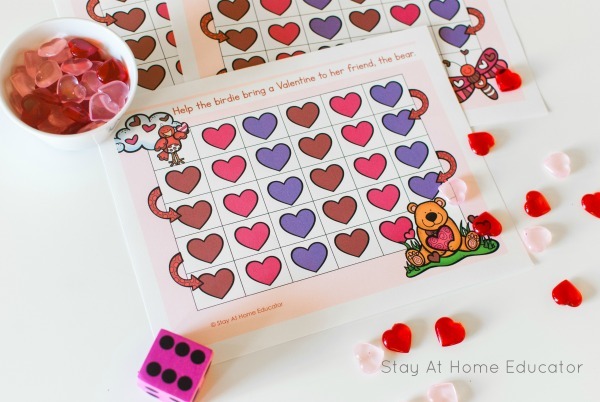 So needless to say, when Valentine’s Day rolls around I rely on these heart themed counting printables for my preschoolers. 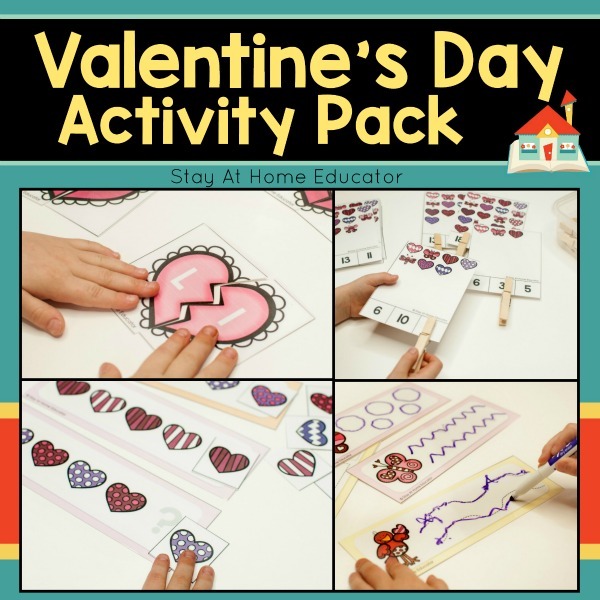 I like that they fit into all traditional aspects of Valentine’s Day, but I also like that they fit into my friendship themed lesson plans, too. Hearts are friendly shapes, I think. 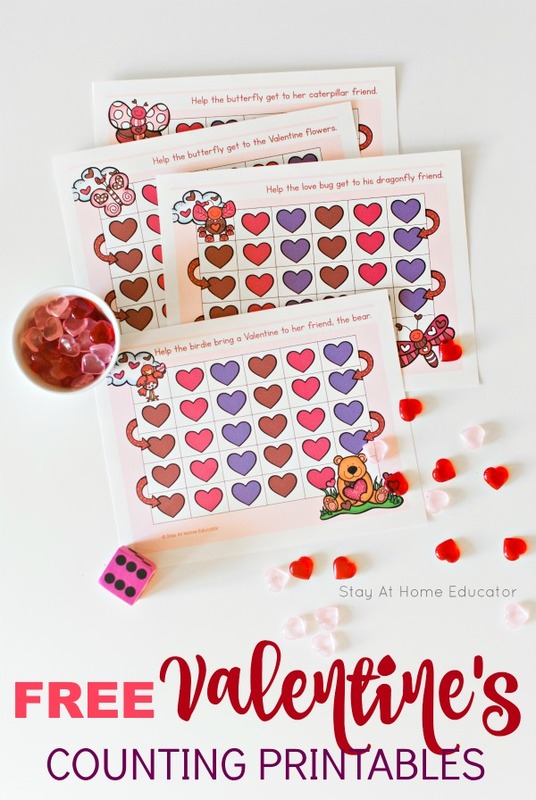 Before I share my heart themed Valentines counting printable, I wanted to offer a few tips for teaching one-to-one correspondence to preschoolers. Some preschoolers struggle with mastering this concept, so it’s important that as effective teachers we have the right knowledge of how to teach counting. Here are a few tips are teaching counting to preschoolers. Start with small, manageable numbers. Use a variety of materials to maintain interest. Try different counting activities that are skill level appropriate. Counting is something we practice all year long. And every single day. This heart theme counting printable is perfect for Valentine’s preschool centers or for small group math activities. Place the printable grid games on a tray with some counting manipulatives in a small bowl. I love these acrylic hearts and Melamine bowls are very durable and kid-friendly. The acrylic hearts come in lots of colors. You can get them in packs of red and pink , and also purple , too! And the Melamine bowls come with some tasting spoons (like the kind for Miso soup) which are perfect for sensory bins! The acrylic hearts and fun for the light table, too, but if you don’t have acrylic hearts small buttons or even Conversation Hearts candies will work. Check out these cute rainbow-colored heart shaped buttons ! I am such a sucker for holiday buttons! These grid games are designed to zig-zag from one side of the paper to the other. This gives the children a lot of practice in one-to-one correspondence. Roll the dice and identify the numeral, then cover the corresponding number of hearts on the grid game. Each game has a special story. A bird trying to find his friends. A bee trying to find some flowers. A butterfly trying to find his caterpillar friend. So the children start at the beginning of the page in the upper left corner and cover hearts with each roll moving along the grid. Now, I prefer to use dice with numerals (which I often make myself by writing on foam cubes), but you can just as easily use dice with pips. Dice with numerals will reinforce number identification skills. Dice with pips will develop subitizing skills. You can read more about subitizing in this post. As with any counting activity for preschoolers, you may need to make accommodations for the different skill ranges of your learners. 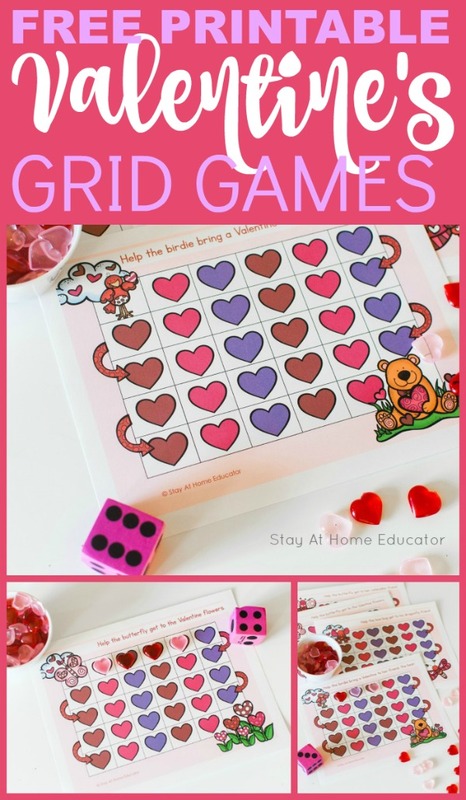 For your youngest preschoolers, have them just match the heart manipulative to each heart on the grid. 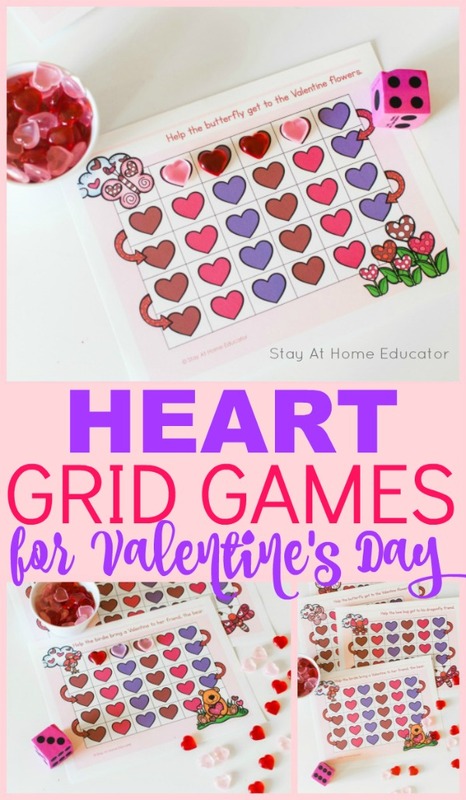 Have young preschoolers count on a counting card first, before transferring the hearts to the grid. 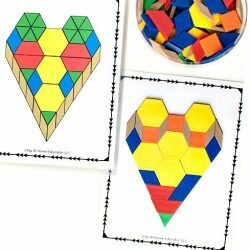 Or, have them roll the dice and add the corresponding number of hearts anywhere they would like, rather than following the zig-zag path of the grid. Older preschoolers will enjoy using two dice and adding the numbers together so they get to practice counting larger quantities at once. 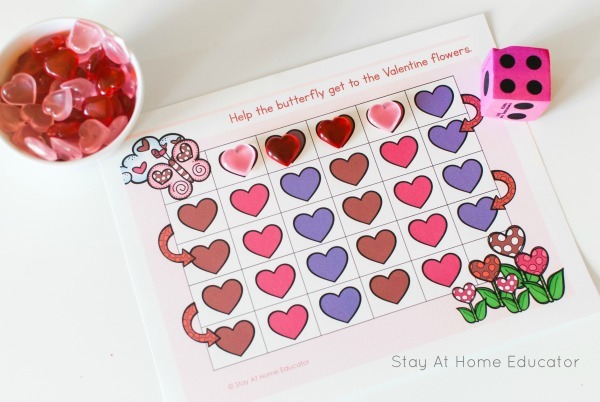 What are some other creative ways to use the Valentine’s counting printable? I love a printable with multiple uses! 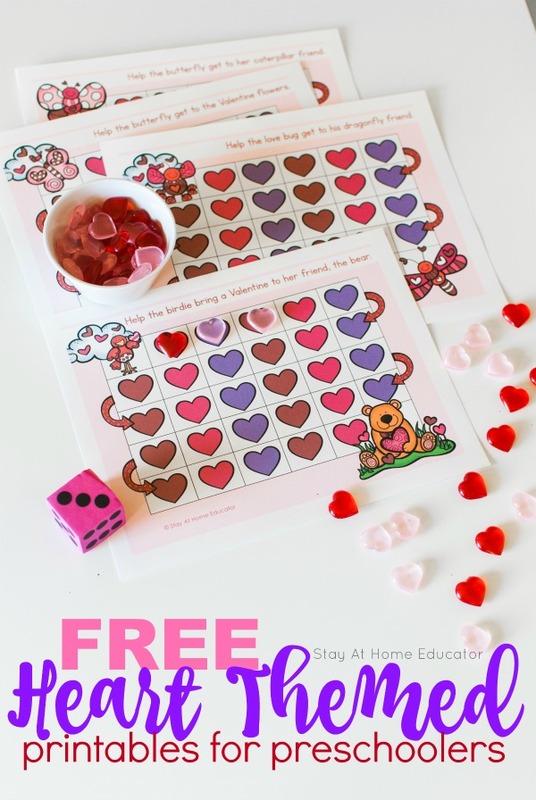 Grab your FREE Heart Themed Counting Printable! 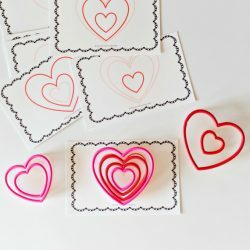 Think this is something to add to your Valentine’s theme or Friendship theme in preschool? You can grab your free printable by clicking the image below. Then keep reading for even more free printables and ideas for your Valentine’s of Friendship theme in preschool! 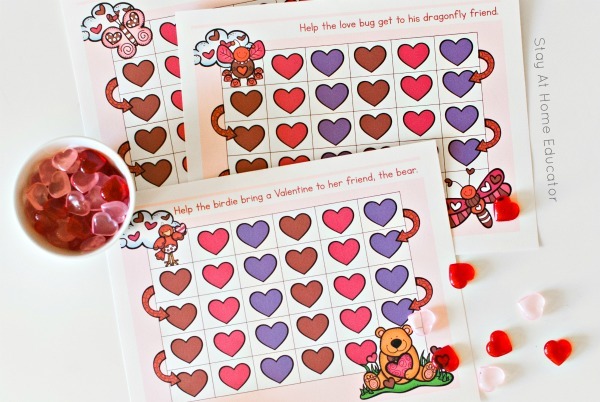 Here are some more free Valentine’s printables for preschoolers. 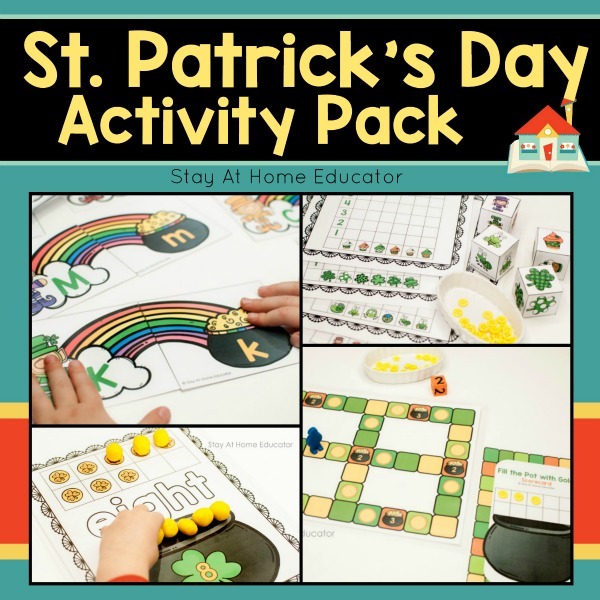 Then check out my Valentine’s Printable Activity Pack, and since St. Patrick’s Day will be here before you know it, you should take a look at that one, too! 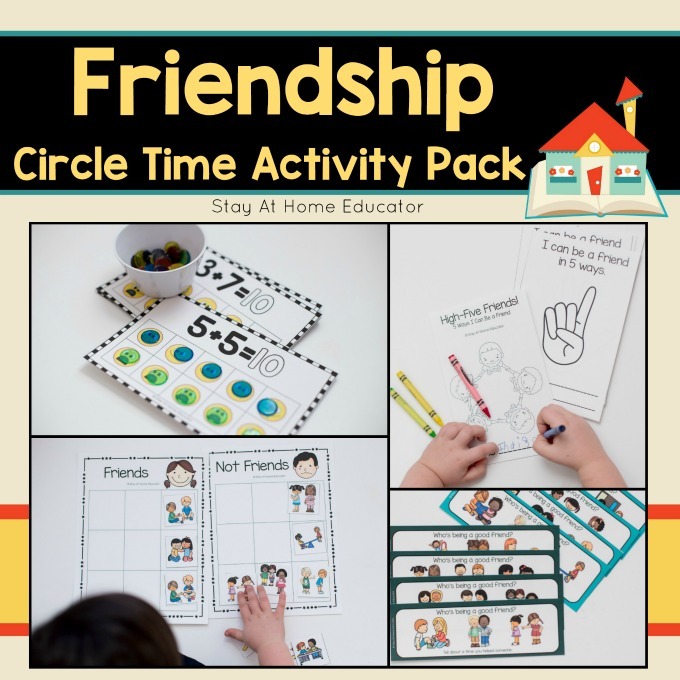 Oh, and check out my NEW Friendship Activity Pack! 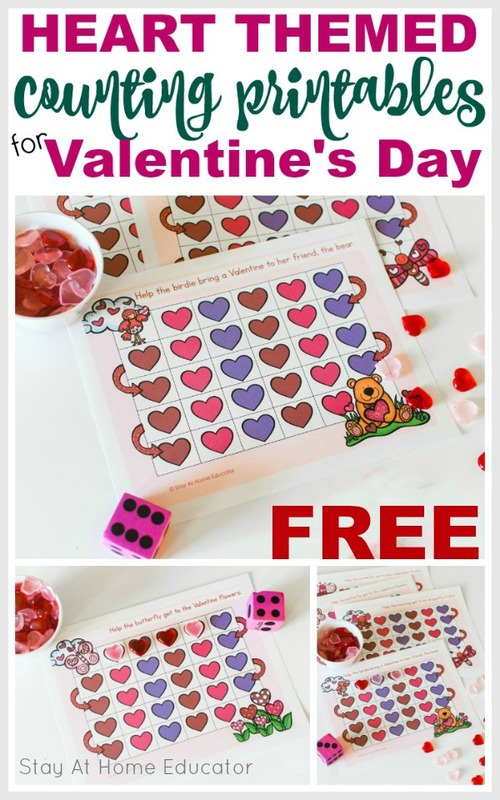 Did you grab your free heart themed counting printable above? Don’t forget!